Furniture stairs had several purposes. 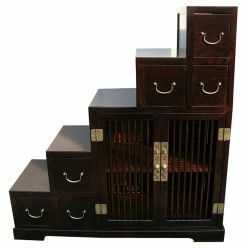 These furniture asian used to access the floor, in order to allow the storage of clothing and the fact of their elegance were the centerpiece of the interior decoration. Nowadays, the design and the functionality of a staircase chinese crossing and single-entry are the two crucial criteria that will help you in your choice. Customized: According to your desire, you will be able to order your furniture staircase whose dimensions are adapted to your interior with the possibility of 5 variants of colours, red, yellow, black, blue and natural wood. We will inform you when a free quote without commitment on your part. For the realization of this quote you must contact us at the following number : 04 75 47 49 96 or by e-mail : boutique@labaiedhalong.com do not forget to indicate your name and your contact information. 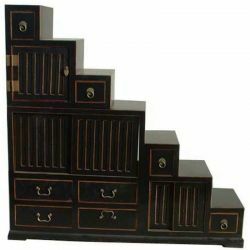 Furniture stairs chinese There are 10 products. 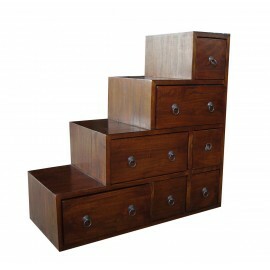 Furniture stairs indonesian 4 steps made of mahogany.Dimensions: L76 x P34 x H76 cm.This piece of furniture Asia is reversible - drawers are identical on the 2 facades. You can place either the stair rising to the left or to the right. Staircase made by craftsmen in solid wood recycled.Dimensions stairs: L133 x P38,5 x H131 cm. Stairs made of solid elmDimensions: L160 x P40 x H166 cm. 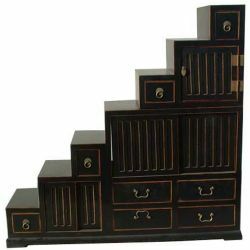 Stair color, made of beech.9 drawers and 4 doors including 2 sliding make this staircase chinese, a piece of furniture completely functional.Possibility to order in many colors: stairs black or blue or red or white.Dimensions: L160 x P40 x H166 cm. 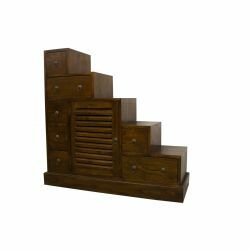 Stairs made of solid elmDimensions: L136 x P40 x H142 cm. 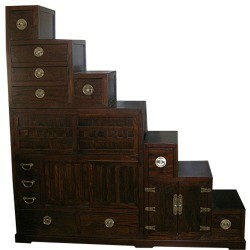 Stairway made of beechDimensions: L180 x P40 x H184 cm.